More than 158,000 blind or visually impaired veterans now live among us, according to the Blinded Veterans Association. Each year, some 7,000 veterans become newly blind or visually impaired as age-related macular degeneration, retinitis pigmentosa, glaucoma, and diabetic retinopathy affect their lives more profoundly. In addition, some 17 percent of the evacuated wounded service members in Iraq and Afghanistan have suffered a serious eye injury of one type or another. Moreover, according to the WHO, 285 million people are estimated to be visually impaired worldwide: 39 million are blind and 246 have low vision. These people deserve to have a better, easier, and faster way to input text on smaller screens, which are currently too cluttered, with tiny buttons. TypeEasy automatically removes keys that are not relevant to the current context and words. This reduces the amount of information and options on the screen and makes the available ones larger, making it easier for people with limited vision to focus on and hit the correct buttons. TypeEasy analyses the English language to determine all possible combinations of letters. It creates a trie structure of the words, allowing us to predict the letters that follow a particular sequence. The following image shows a simple trie for the words "battle", "batter", "blow", and "blog". 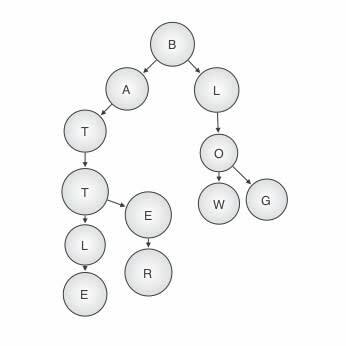 A Trie structure of hundreds of thousands of words allows TypeEasy to accurately predict possible words consistently. The algorithm to implement an efficient Trie structure for such vast amounts of data required significant work. 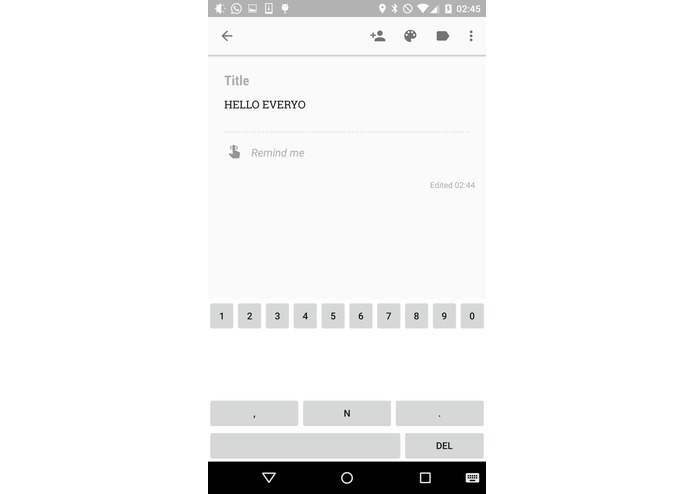 Additionally, Android has little to no documentation on building non-standard keyboards with perpetually varying layouts. TypeEasy can easily be expanded to non-English languages by building a new dataset for each new language. This will allow millions more to benefit from it all around the world.